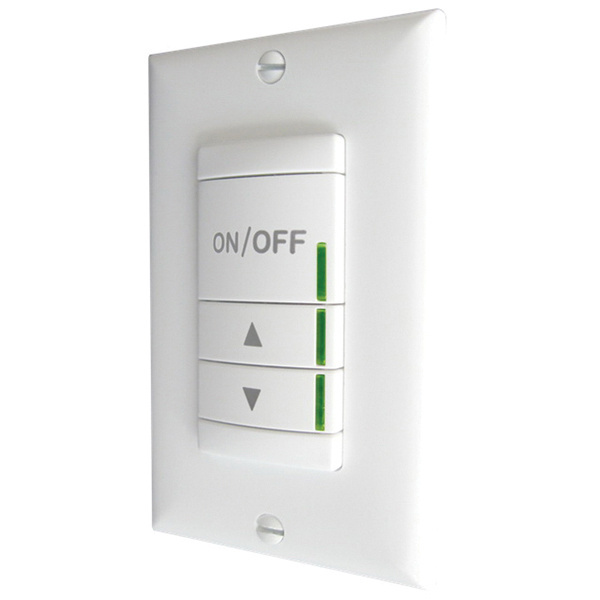 Lithonia Lighting AcuityControls™ Sensor Switch™ Dimming switchpod has voltage rating of 120/277-Volt AC at 50/60-Hz. Switchpod in white color, has maximum load capacity of 800-Watts at 120-Volt AC, 1200-Watts at 277-Volt AC, 1500 W at 347-Volt AC and 1/4 hp for motor. The 1-Gang switch box mountable switchpod measures 1.68-Inch x 1.63-Inch x 2.74-Inch. It is ideal for education, government, healthcare, hospitality, manufacturing, offices and banks, religious, retail, warehouses, sports and recreation. Dimming switchpod operates at temperature range of 0 to 60 deg C. Dimming switchpod is cUL/UL/cULus listed.